Soviet manufacturer Lomo is best known these days for the LC-A that arguably launched the whole Lomography movement. But they produced a range of other cameras which have some cachet including the Lubitel series of Twin Lens Reflex Cameras. 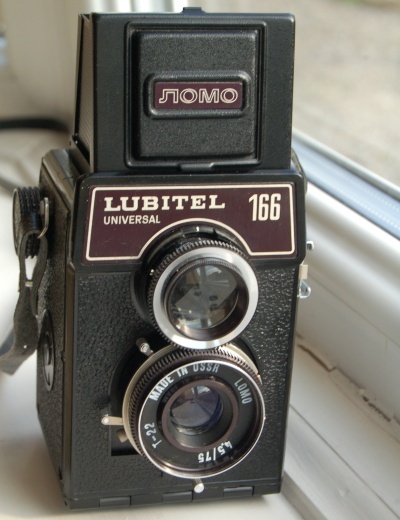 Infact the Lubitel lives on in manufacture these days with the LSI produced 166+. Now this will set you back almost 300 GBP for which isn’t really an option for the Canny photographer. Luckily you can buy its 1980’s predecessor for much less in working order.